We provide products and services in skills, training and education which positively impact on individuals, organisations and society. 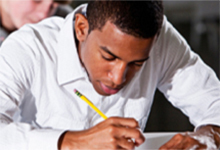 We have two main roles: accreditation, and awarding qualifications. Our organisational and leadership structure. See our strategic direction for the next three years and our awarding and accreditation functions. 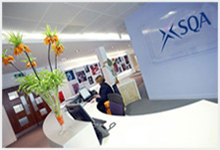 Find out about working at SQA, available jobs and how to apply. Sign up to our training courses and events. How to request your own personal information or get information about SQA. The Scottish Qualifications Authority (SQA) has high standards - for ourselves and for our customers. We strive to ensure that our qualifications are inclusive and accessible to all, that they recognise the achievements of learners, and that they provide clear pathways to further learning or employment. We will digitally transform our organisation to offer customers better service by delivering efficient, scalable and new enabling approaches.